Missing guinea fowl did not return over night so my fears that the guinea fowl has been killed by something are heightened. The remaining 17 guinea fowl where apprehensively let out of their poultry hut this morning. 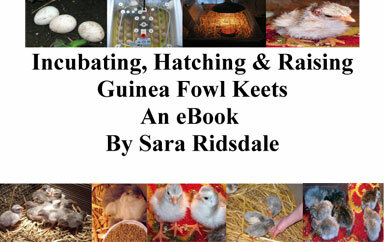 The 10 hatched keets are now 4 weeks old and have moved to a larger brooder – they are all doing well. The batch of guinea fowl eggs in the incubator have had the egg turner removed today. Only one guinea fowl egg collected today. I estimate that nine guinea fowl eggs have been taken by the magpies which are currently circling the farm. 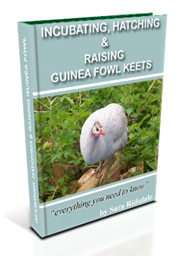 We are only days away from another guinea fowl hatch so watch this space for more guinea fowl news.